Paris (AFP) - Drug-resistant typhoid has become an invisible epidemic in Africa, scientists said on Monday after an unprecedented probe into the disease. Writing in the journal Nature Genetics, the team sounded the alarm after sequencing more than 1,800 samples of typhoid bacteria from 63 countries. This revealed the rise of a multi-drug-resistant (MDR) strain called H58, which does not respond effectively to frontline antibiotics. H58 has recently acquired mutations that blunt newer drugs such as ciprofloxacin and azithromycin, they added. H58 is "displacing" antibiotic-sensitive versions of the germ, the study warned. The now-dominant lineage "has emerged and spread throughout Asia and Africa over the last 30 years," it said. 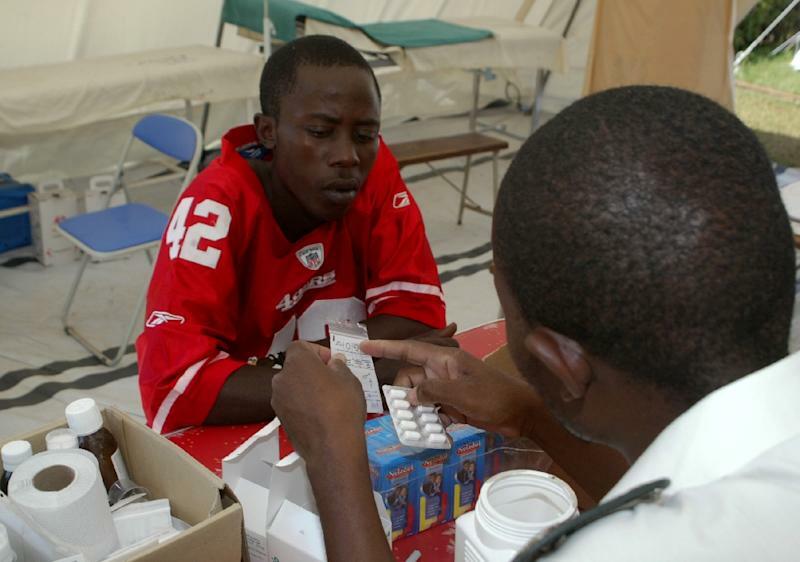 The paper described "an ongoing, unrecognised MDR epidemic within Africa itself." According to the World Health Organization (WHO), about 21 million people are infected with typhoid every year, and an estimated 216,000 to 600,000 die. The disease is caused mainly by Salmonella typhi bacteria in food or water contaminated with the faeces or urine of infected people. Symptoms can include fever, headaches, constipation or diarrhoea, rose-coloured spots on the chest, and an enlarged spleen or liver. Symptoms can be mild or severe, but some people can carry the germ yet not fall sick. Vaccines against S. typhi do exist, although they are not always effective and are not suitable for young children -- the group most at risk. In many developing countries, the disease is controlled through drugs, and lax use of them is helping the resistance problem. The team said that of the 1,832 S. Typhi samples they analysed, dated from 1992 to 2013, 47 percent were of the H58 type, confirming that it was now widely disseminated. The family tree of H58 suggests it spread out of South Asia to Southeast and western Asia and then to East Africa. H58 strains are now "predominant" among the eastern and southern Africa S. Typhi samples tested, they wrote. "We uncovered evidence of an unreported recent wave of transmission of H58, based on 138 isolates, from Kenya to Tanzania and on to Malawi and South Africa. "This analysis demonstrates an ongoing epidemic of H58 typhoid across countries in eastern and southern Africa." The problem of MDR typhoid dates back to the 1970s. It happens when the bacterium acquires new genes making it resistant to prevailing drugs. MDR genes are usually unstable components of the genome. When doctors switch to a new drug, the variants are pushed out of the genome because they are less useful to the germ and competing strains become dominant. This time is different, said senior researcher Kathryn Holt from the University of Melbourne in Australia. "In H58, these genes are becoming a stable part of the genome, which means multiple antibiotic-resistant typhoid is here to stay," said Holt. The scientists called for beefing up surveillance of H58, tightening use of antibiotics, expanding vaccination programmes and improving water and sanitation in poor countries. "Bacteria do not obey international borders, and any efforts to contain the spread of antimicrobial resistance must be globally coordinated," said Stephen Baker at the Hospital for Tropical Diseases, an Oxford University research unit in Ho Chi Minh City, Vietnam.